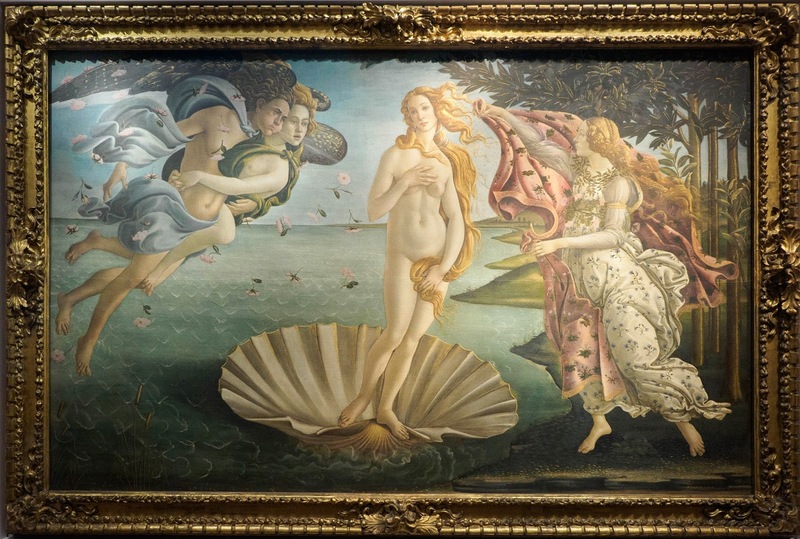 I visited the Uffizi in the summer - spent an entire day inside and when exiting at closing time I realized I had somehow missed The Birth Of Venus. I explained this to the guard at the door and of course even though they were locking the building up he let me go back to see her. I ran all the way up the stairs, along the halls, and to the gallery where I knew she could be found. When I got there we were alone - just Venus and me - and the beach.